Help – Only Cold Air is Coming from My Lexington Furnace! A furnace blowing cold air is a common issue we hear from Lexington homeowners who call for furnace repair. Numerous issues could be to blame for this, most requiring professional repairs. Why Is My Furnace Producing Cold Air? If you have an older furnace, it may use a pilot light, which fires up the system’s burners. If the light goes out, you may be able to relight it yourself. If not, the thermocouple controlling ignition and the gas valve may be dirty, or has gone bad and must be replaced. If your furnace overheats, the limit switch will shut off the burners as a safety measure. The furnace will still blow unheated air as it attempts to cool itself down. A dirty air filter is a common cause behind furnace overheating. When the air filter is caked with contaminants, air can’t pass through easily. The furnace will overwork to deliver heat to the home, causing overheating. If ever you experience cold air coming from your furnace, always check and change your furnace filter to troubleshoot. Your heating fuel is delivered to the furnace via gas lines. If there’s no gas to burn, your furnace won’t create heat. The gas valve could have been turned off – check to see that it is in the correct position. Damage to the gas lines or clogs can prevent gas from flowing to the system properly. If your home is heated by propane, you could be out – check your tank and have it refilled if so. If your home is equipped with a newer high-efficiency furnace model, it will have a condensate drain line which allows moisture to escape. When the condensate drain lines become clogged, safety mechanisms prevent the system’s burners from igniting to produce heat, for your safety. A NATE-certified furnace repair technician will diagnose your furnace and repair the problem causing it to blow cold air. Contact Climate Control today to schedule furnace repair – our team is on-call day and night to solve the issues preventing heat in your home. 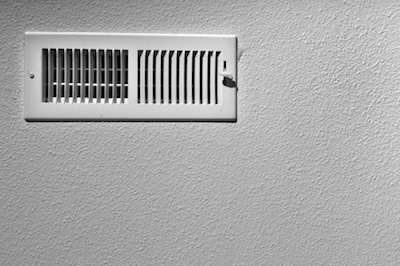 A furnace blowing cold air is a common issue we hear from Lexington homeowners who call for furnace repair…. Experiencing Hot & Cold Spots?